So, may be dreaming a bit here, was sat under my Jimny today, admiring the typical front body rust (yay, Scotland! ), I was pondering something interesting, I am curious of the viability. These. I have seen a few of these conversions done in Japan. 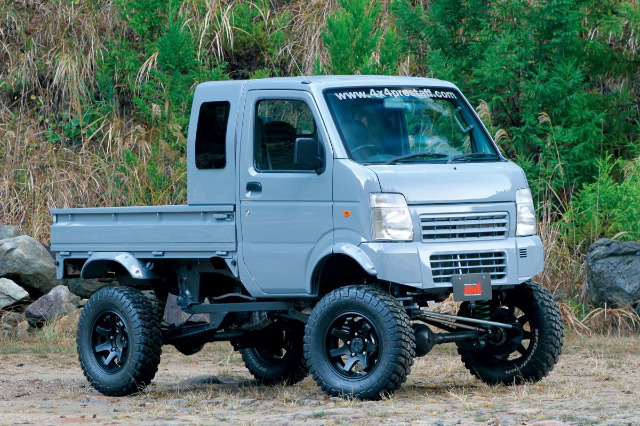 The one pictured is a Suzuki Carry pickup mounted on to a Jimny Chassis with an 8" (!) lift kit, source material in Japanese is here dressup-navi.net/parts/16391/2/ He also equiped his with 225/75R16 BFG MTs which are a fairly extreme tyre for a Jimny frame. I've been doing a bit of research, generally into the work involved in fitting a Suzuki Carry/Bedford Rascal frame to a more modestly specced Jimny, & the work doesn't seem massive. The Rascal flatbeds are semi-monocoque, so it is possible a bit of fabrication is needed to mate the front end, however the rear end of the trucks appear to be a fairly simply steel lattice with similar body mount locations to the Jimny, so I can't imagine it would be a tremendous amount of work, both the Carry & Jimny appear to have very similar interiors and I believe are the exact same width on the inside (as a consequence of them both being kei compatible) so I imagine the interior bits might not even be too difficult to shoehorn in. However it does raise the question of why nobody seems to have attempted it outside of Japan, is it just due to the relative scarcity of Carry truck bodies about? Or is there more too it than it seems, I imagined if it was easy the KAP guys would be all over it to create more flatbed space for their Landmaster type vehicles. Anyone else given a project like this similar thought? Replied by MadsV on topic Suzuki Carry/Bedford Rascal Body, on Jimny Chassis. I have one of these, and i would say this is alot of work because the steering etc is totally different. The steering column on the carry goes straight down and between your legs. Im sure it can be done but you need serious skills. Replied by Jezz on topic Suzuki Carry/Bedford Rascal Body, on Jimny Chassis. Unless it's changed. 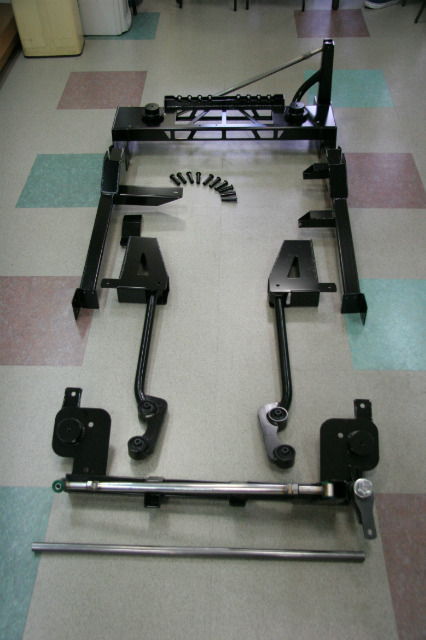 It is a kit from pro staff using jimny running gear to convert a rear wheel drive mini pick up into a 4wd. Replied by Caelite on topic Suzuki Carry/Bedford Rascal Body, on Jimny Chassis. Ah! I know Pro-staff made them, all the material I have read on them have simply refered to them as Carry "Jimny Conversion", I had assumed it was a full chassis conversion rather than just subframes. Cool none-the-less.